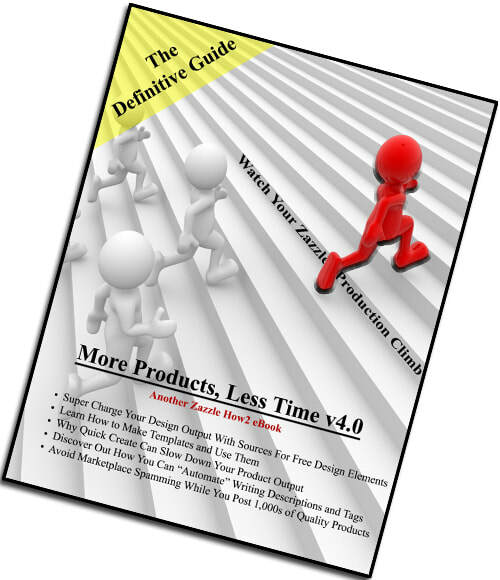 More Products Less Time eBook - Success! One of the primary ways to increase your Zazzle sales is simply to have a large inventory of products and designs. But your time is valuable and limited. You likely have a real world job, family and home that also require your time. With so many demands on your time, how can you ever get your product inventory grown? By working smarter. After nine years and 100,000+ products over multiple stores and web sites, we've developed several best practices through trial and error. You can skip the lengthy trial and error and go right to "get it done". More Products Less Time is packed with information, examples, videos and links that you can put to work immediately. How to avoid creating spam products within Quick Create while maximizing volume. Hundreds of Zazzlers have accelerated their Zazzle growth and revenue with this inexpensive eBook of best practices. It will help you, too. Invest $6.95 in your business.